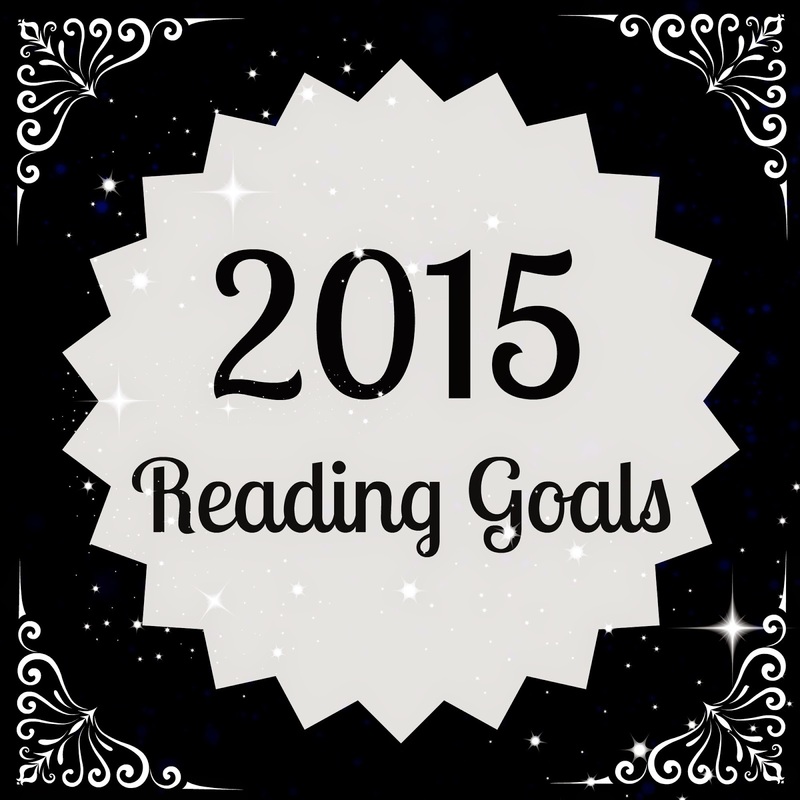 It's 2015, and I'm so excited to tell you about my reading goals for this coming year. I've been thinking about many of these goals for months, and I can't wait to finally get started on them. 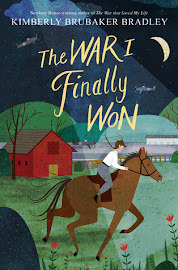 In years past, I've made the goal to read some current middle-grade titles that are potential candidates from the upcoming Newbery award. While I still hope I have time to read some of the new titles 2015 will bring, I want to make a special effort this year to read a couple of the books that have won in the past. I can already tell that the hardest thing about this goal will be deciding which books deserve priority. There are so many awesome winners I haven't read yet! I want to explore some older literature this year. For added fun, one of the books needs to be by a female author I've never read before (such as Edith Wharton, Virginia Woolf, or Anne Brontë). 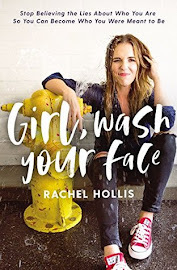 The other book needs to be by a female author I have read before (such as L.M. Montgomery, Louisa May Alcott, or Jane Austen). Goodreads saves the date of when you add a book to your to-read list. Last year, I focused on those woefully neglected books that I added in 2009. This year, I want to choose a book from the ones I added in 2010. If my records are correct, that means I have fifty books to choose from, and there are some good ones in this group: everything from I Capture the Castle to The Robe to The Potentially Sane Mother's Guide to Raising Young Children. Or maybe I'll finally have a chance to read The Wolves of Willoughby Chase, a book my mom has been telling me to read, probably since March 13, 2010 (the date I added it). If you haven't noticed already, all of my goals are trending towards books of the past. I think it's because I know that my book club and friends and favorite blogs will keep me informed with what are the must-read books of today, but I don't want to focus on them so much that I neglect the really great books of the past. For this goal, I'm hoping to read Heidi or Little Lord Fauntleroy or The Jungle Book. What is your favorite children's classic? It should come as no surprise that I love writing. This blog and my daily journal are both testaments to that. But I would really love to have some motivation to improve that writing. Last year, I heard about two writing books, both of which sound interesting: On Writing Well: The Classic Guide to Writing Nonfiction and The Sound of Paper. I'm not set on either of them particularly, but I'll probably decide soon so that I can begin working my way slowly through whichever one I choose. I'm going out on a limb here. While I've read short stories before, my exposure is very limited--so limited in fact that I haven't even the faintest idea of what I want to read to fulfill this goal. I just know that I want to branch out and try a new genre. So obviously, I could really use your input and suggestions. I read and study the scriptures every day, but I also love to read religious commentary as a supplement and a way to guide my study. I don't have anything specific yet for this goal, although Mere Christianity came immediately to mind. This goal is stolen from last year, but I wanted to do it again because it was so fun to have a reason to revisit favorite characters I'd left for too long. You know I'm not great about sticking with a series through completion, but this at least gives me some motivation to continue on with it. Because I love them. And there are still so many that I haven't read but want to. My Life in France, here I come. In 2013, I tackled The Chronicles of Narnia. Last year, I went with Little House on the Prairie. This year, I want to finish the Emily trilogy by L.M. Montgomery. It's less ambitious than the corresponding goals in past years (since I only have to read two as opposed to five books), but I've wanted to finish this trilogy for, oh, just the last 15 years. So yeah, it seems like unless I give it it's own goal, other books will continue to take its place. And that just isn't fair. If you have any ideas for great books I should read to complete any of these goals, please tell me! Also, I would love to hear about what goals (reading or otherwise) you've made for 2015. I advocate with great enthusiasm for I Capture the Castle - it's absolutely divine. Noted! I remember you mentioning this one before as one of your favorites! Short stories is a place where I always struggle as well. The Interpreter of Maladies is one that I've been toying with reading (by Jhumpa Lahiri). I've also heard great things about Margaret Atwood's short story collections but haven't read any yet. Trish - thanks so much for the suggestions. I will look into both of those! I highly recommend Stephen King's "On Writing" for your goal of reading about on writing. It's a great book, really well written and has awesome insights for writing. Also who better to learn from than from one of the masters? You're really inspiring, Amy. I'm going to make a goal to read and finish more books this year. Oh yes, I'd forgotten about the Stephen King one, but I've heard great things about it. I love The Scarlet Pimpernel by Baroness Orczy. It is one of my favorite classics written by a female author. I can't wait to see your reviews this coming year! I read The Scarlet Pimpernel quite a few years ago. I would love to read it again! I vote for Middlemarch for your classic by a female author. I plan to read it this year and we can convene in say, October to discuss it (assuming we can't convince book club to get on board!). As for short stories, I went through a phase long, long ago and so I have copies of the following, any of which you are welcome to borrow (to give your library card a small respite! ): Alice Munro "Selected Stories" or "Runaway", Amy Bloom "Come to Me" (A National Book Award Finalist) or Jhumpa Lahiri "Interpreter of Maladies". I also have Ann Pachett's collection of essays This is the Story of A Happy Marriage which has several meditations on writing. You are super inspiring. I've got some other life goal irons in the fire and they are taking up real estate in my brain so I'm not sure I'm up to a goal list THIS year, but I have learned how to prioritize my list on Goodreads, so I'm considering that a small start. Can't wait to see what you choose! Okay I'm in, Jen! I had totally forgotten that George Eliot was a pen name!!! Even if we can't convince our fellow book clubbers to join us, I am ready and willing and committed to reading it and look forward to our discussion (but if you suggest it for April's classic, I'll back you up!). And wow, thanks for all the short stories suggestions. I need to just come by and take a look through them. I'm excited to hear more about your life goals (which sound much more daunting than my reading goals!). Deal! I will bring the short stories to book club next week. Also, I'm going to convince you to try a sci fi book one of these days….and I think I'm going to start with The Book of Strange New Things. I haven't read it but it looks like it would be great for book club discussion! Good to know (although I'm sad to hear it since I love Frances Hodgson Burnett). Also, Gene Stratton Porter is a good suggestion. Several of her books have been on my to-read list for a loooooong time. I Capture the Castle is so good! I liked the movie, too. Add these challenges to my current list. Plan to read at least 35 books this year. I have no idea how many I read last year didn't keep track, but I'm using goodreads to do it this year. I love that the android app has a barcode scanner. Edith Wharton's "The Age of Innocence" absolutely slayed me. Anne Lamott has some good books on religion, if you want something more modern than C.S. Lewis. My boys loved listening to Little Lord Fauntleroy, which I admit surprised me a bit. 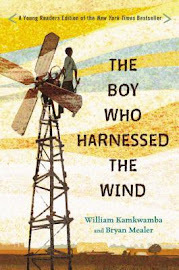 But it actually worked really well as a young elementary read-aloud. I like Heidi a lot but never thought to read it to my kids. My copy of Jungle Book comes with a lot of short stories and poetry in with the Mowgli stuff, which I like but isn't for everyone. How far back is your definition of classic? Wizard of Earthsea was another great book, both for me and as a read aloud. Swiss Family Robinson is another fun one. Would you believe I've never read anything by Anne Lamott? I need to remedy that! Hmmm, I don't know. I guess I consider things even as recent as A Bear Called Paddington a classic, so both of your suggestions would definitely work within my parameters! Lamott's book on writing (Bird by Bird) is also quite good. I've returned to sections of it multiple times.